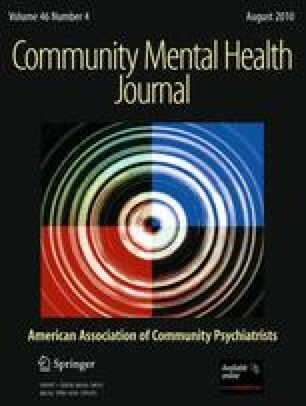 There has been increasing commentary about the degree to which Assertive Community Treatment (ACT) teams provide recovery-oriented services, often centered around the question of the use of coercion. The present study was designed to contribute to this discussion through an examination of recovery-oriented service provision and ACT fidelity among 67 teams in the province of Ontario, Canada. The findings indicated a moderate to high degree of recovery orientation in service provision, with no significant relationship between ACT fidelity and consumer and family/key support ratings of recovery orientation. A significant relationship was found, however, between the ‘nature of services’ domain of the Dartmouth Assertive Community Treatment Scale (DACTS) and ratings of recovery orientation provided by staff and ACT coordinators. These findings extend the existing dialogue regarding the evaluation of ACT intervention process factors and indicate that current measures of fidelity may not be adequately addressing dimensions of recovery-oriented service provision.